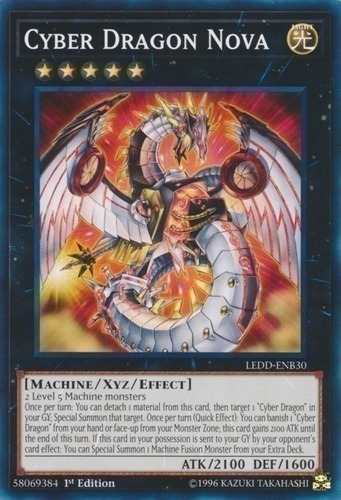 Once per turn: You can detach 1 material from this card, then target 1 "Cyber Dragon" in your GY; Special Summon that target. Once per turn (Quick Effect): You can banish 1 "Cyber Dragon" from your hand or face-up from your Monster Zone; this card gains 2100 ATK until the end of this turn. If this card in your possession is sent to your GY by your opponent's card effect: You can Special Summon 1 Machine Fusion Monster from your Extra Deck.